In-person shows with Mary Owen screened on 35mm! All other shows play in brand-new 4K restoration! Our annual run of the holiday classic — chosen as one of Time Out New York's “New York Essentials”! Capra’s paean to small-town values and the ordinary guy who does the right thing is a classic story of redemption and second chances, with James Stewart as a man who’s come to the end of his rope one Christmas Eve and Donna Reed as the high-school sweetheart who became his wife. The supporting cast includes Lionel Barrymore, Beulah Bondi, Ward Bond and Gloria Grahame. 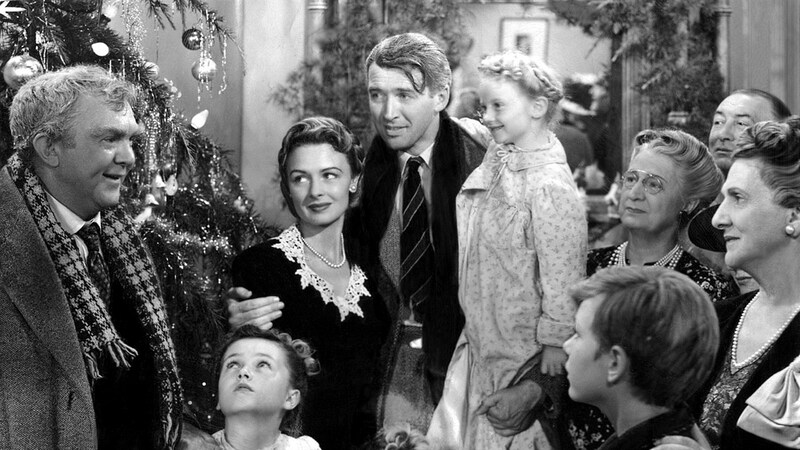 IT’S A WONDERFUL LIFE was the first release from Liberty Films, the pioneering independent label founded by Capra and fellow producer-directors William Wyler and George Stevens, and went on to become not just a perennial holiday favorite, but one of the most beloved of all American movies.